Former UK foreign secretary Boris Johnson has advocated a massive cut in foreign aid and said that the money would be better spent on the "political and commercial interests" in the UK. The report also called for scrapping the 0.7 percent gross national income benchmark set by the Department for International Development (DFID) and other multilateral institutions, in addition to setting targets to the UK's own policy goals. Mr. Johnson said that the proposals set in a pamphlet from Tory backbencher and Foreign Affairs Select Committee Bob Seely were "hard to disagree with", and that the 0.7 percent could be "spent more in line with Britain's political, commercial and diplomatic interests," Mr. Johnson said. Mr. Seely also drew up the proposals with James Rogers, a strategist for the Henry Jackson Society, a hardline foreign affairs thinktank based in Cambridge. Mr. Johnson lamented that after Hurricane Irma had ravaged the British Virgin Islands in 2017, the UK could not use its own money to rebuild the affected areas. "That was a real lesson to me in the importance of changing these rules," he said on the BBC Radio 4's Today programme. He added that "we can be smarter in the use of our aid money", but did not "want to despoil DfID of their cash". Boris Johnson made the comments a few hours before UK defence secretary Gavin Williamson's speech on Monday, which called for NATO-member countries to contribute 2 percent GDP to their defence obligations in order to boost collective capabilities and combat a "resurgent" Russia. Mr. Williamson also advocated "reviving" state-on-state competition as a challenge to the UK, adding that Russia was attempting to "rebuilding its military arsenal and seeking to bring the independent countries of the former Soviet Union" into its geopolitical orbit, in addition to China's rising military and economic influence. What Does the Report Argue? The report attempts to add "substance to the idea of Global Britain", which was stated by UK prime minister Theresa May and then foreign secretary Boris Johnson in 2016, it said, and aims to flesh out the structure, strategy, spending and policy ideas of the UK, in addition to defining Britain's role in the world. 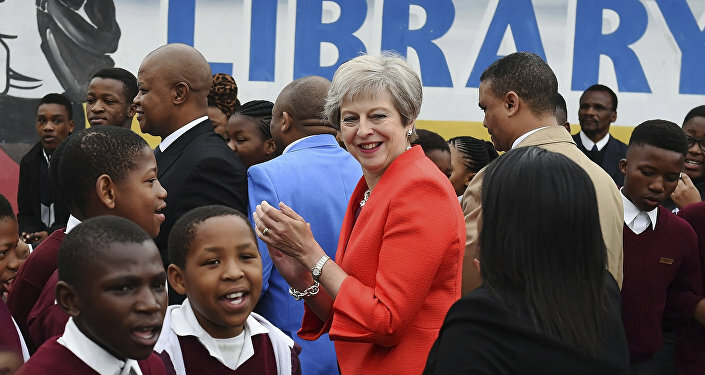 The report attempts to bolster the UK's global strategy using three key points – Freedom for Trade, Freedom from Oppression and Freedom of Thought – basing them on UK "culture values and history", the report stated, as well as strengthening relations with the "Anglosphere" and other Commonwealth nations. The report also singles out international news agencies such as "Russia's RT and Iran's PressTV", accusing them of spreading "their regimes' warped and destructive perspectives" in addition to spreading "autocracy" and revising the international "rules-based system". The UK government has developed its 2018 Aid Strategy aimed at increasing bilateral official developmental assistance (ODA), which it can set using country-to-country agreements, and decreasing multilateral ODA, which depends on agreements based on multilateral institutions like the United Nations and others. The DFID has regularly committed to spending 0.7 percent of GNI, which the UN and OECD have set as international benchmarks for multilateral ODA investment. But the 2018 DFID report stated that the UK had spent £5.2bn in multilateral ODA, up £391m from 2016, which was directed towards the International Monetary Fund (IMF) and World Bank. Sellouts: Why is the UK Giving the Private Sector More Control Over Foreign Aid? In order to "respond to the changing world, more aid will be administered by other government departments, drawing on their complementary skills," the DFID said, which will allow the private sector to reduce Government spending on bilateral ODA and reduce constraints from multilateral institutions. DFID secretary Penny Mordaunt commented in a CDC speech in London in October last year that Brexit negotiations have pushed the government to determine how to "close the resource gap to deliver the UN Global Goals" whilst making the UK's "citizens stronger and more financially secure," in addition to calling the new relationship between private and public sector capital "compassion and capital". A source for Ms. Mordaunt said that she believed that "when investors step in, the taxpayer can step back, freeing up billions to spend elsewhere in government."